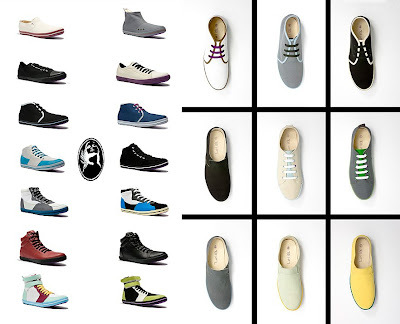 Nicely crafted and quirky sneaker designs from the Salt Lake City clothing company. Etienne De Crecy Live 2007 Transmusicales de Rennes from Clement Bournat. The Icono has created a new experience for the telephone, and I don't mind owning one. 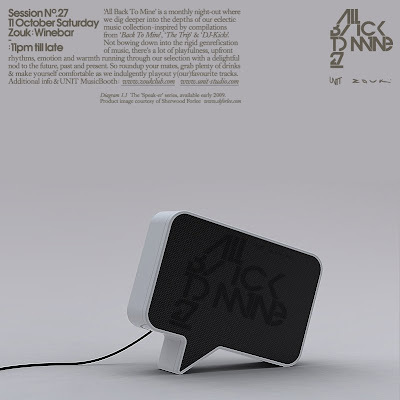 Product design by Hong Kong bred, London-based Zinc Chan. 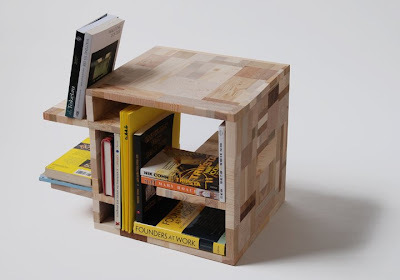 The Book Box has built in book stands which allows you to place different sized books randomly in the box without them falling over, all this under the Patchwork series. Created & designed by Amy Hunting, a Norwegian furniture designer and illustrator now based in London. Saturday, October 11 from 11:00pm onwards. Expect the sounds of Andrew Weatherall, M83, Booka Shade, Swayzak, Todd Terje and Hercules & Love Affair, Pantytec, Prins Thomas, SCSI-9, Ame, Roland Appel, Model 500, Mathew Jonson & many more. Boys Noize will be playing in the main room. Filmmakers, photographers and artists joined forces in creating a unique global video project for The Chemical Brothers with Google Earth. 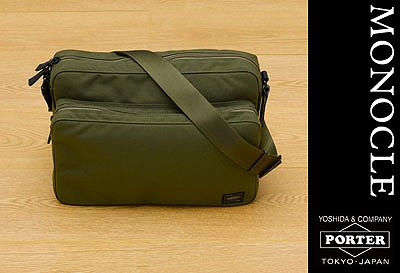 Participate here. 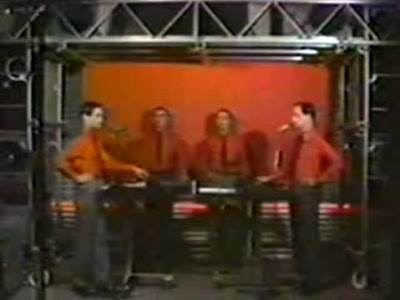 The UNIT MusicBooth has been updated, enjoy. 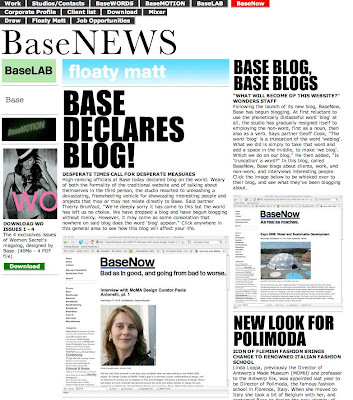 The folks over at BASE have been busy and "declared blog on the world. Weary of both the formality of the traditional website and of talking about themselves in the third person, the studio resorted to unleashing a devastating, freewheeling vehicle for showcasing interesting people and projects that may or may not relate directly to Base." 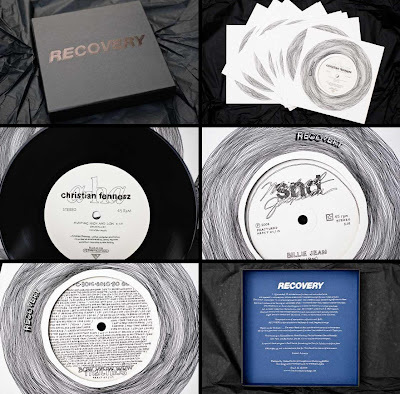 Fractured Recordings presents Recovery: a limited edition box set of cover versions of classic hits from the 70s 80s and 90s, performed by seminal and leading contemporary musicians working within electronica. Published as a numbered limited edition of 500, this collectors’ box set contains 10 double A side 7”s, alongside unique cover designs by artist Graham Dolphin. 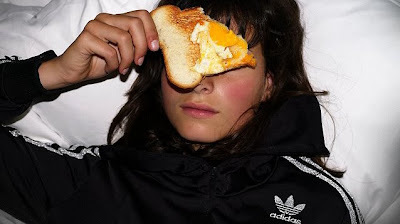 A new interactive film for Adidas Originals : Adidas FLASH, from 180 Amsterdam’s Lyall Coburn and Hi-Res!.